So today we will discuss about Meltdown. What the heck it is ! 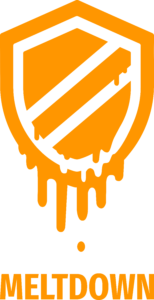 Spectre and Meltdown are the different variants of the same fundamental underlying vulnerability that affects nearly every computer chip manufactured in the last 20 years. If exploited, it allows attackers to get access to data previously considered completely protected. These vulnerabilities involve a malicious program gaining access to unauthorized data, and by exploiting two important techniques used to speed up computer chips, called speculative execution and caching. When I first heard about this vulnerability the first thing came into my mind was how it is possible to have unprivileged access as we already have “Page Tables” in place. But as it still happened. lets see how. So when a software running on a Core requires memory it starts a so called “load” command. The load command is then processed in multiple stages until the data is found and returned or an error occurred. Below is the simple representation of the memory subsystem.